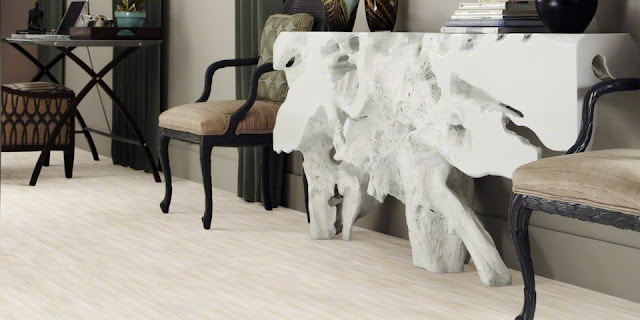 Luxury vinyl flooring is a completely new take on vinyl. In fact, many manufacturers call this flooring resilient flooring - a type of floor that carries all the benefits of vinyl flooring but with an appearance that can fool even the most discerning eye. Extremely durable, easy to clean and waterproof, luxury vinyl's popularity is on the rise. Luxury vinyl is made with a very realistic photo technology that mimics other materials so well, you have to look twice to see that it's vinyl flooring. That design feature combined with vinyl's water resistance and practical durability makes the look of wood, stone or any material accessible to any room of the house. One of the big benefits of luxury vinyl tile is that it comes with far fewer installation restrictions. That extends to the designs. You might love the look of mixed wood flooring but making it a reality with natural hardwood can be difficult and expensive. Or perhaps you'd like to go bolder and mix the look of tile with a wood border. Those looks - and others - are easily accessible with luxury vinyl flooring and those creative pattern options are a growing trend. Shades of wood flooring are a big trend whether the wood floor is hardwood, laminate or luxury vinyl planks. The look of gray wood floors is still popular and you'll find many choices in the luxury vinyl flooring category. Another trend that is on the rise are very dark shades of wood or very blonde woods - without a lot of that "traditional" neutral look. Both the very dark and very light woods bring a distinct look to any room and are flexible to match nearly any style of decor. Patterns in flooring have been big for a while and this trend isn't showing any signs of dying out. Luxury vinyl tiles or planks can be installed in herringbone or zig zag patterns among others. You can use similar shades for a monochromatic patchwork floor. Or create a pattern that reflects your personal style with different colors. 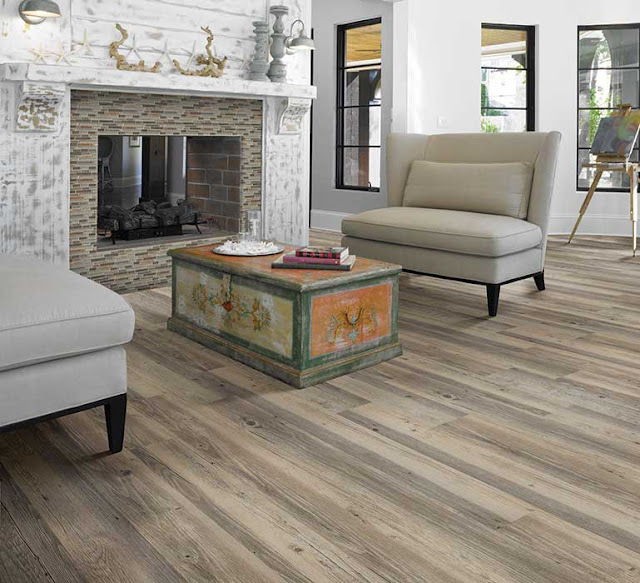 Trendy or traditional, one thing is here to stay: Kermans Flooring is Indianapolis' top choice for luxury vinyl flooring. Whether you're looking to take advantage of one of the trends noted here or are looking for design guidance into what type of luxury vinyl floor is best for you, Kermans is the place to start.